This is a photography logo design with a camera clipart in black and white. Same design, 2 black and white variations plus a BONUS Photoshop brush for an easy use on your photos. ►We will incorporate your name of business, tagline in black and white and send you a detailed design you will love! 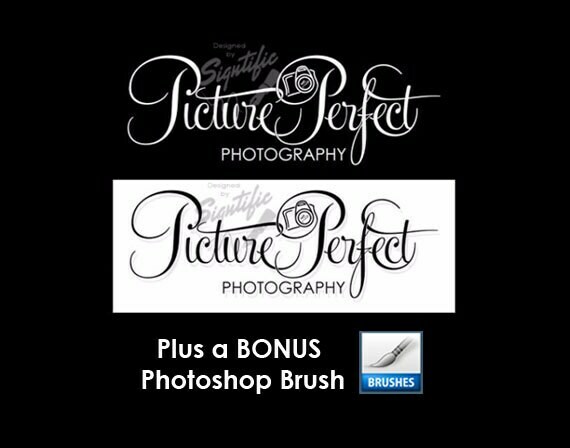 ✔ FREE matching Photoshop brush preset. Photography Logo, FREE brush, 2 Black and White Photography Logo Design with a Bonus Photoshop Brush Preset, Photographer Signature Logo. Would highly recommend!!! Absolutely wonderful service!